Read a sample of the book before deciding! Do you have a gun dog and want to have a great time working with your dog and perhaps enter a field trial? Do you want to find a training method where your dog has just as much fun as you do? Do you want to learn how to combine clicker training and field trial training? If so, this is the book for you. 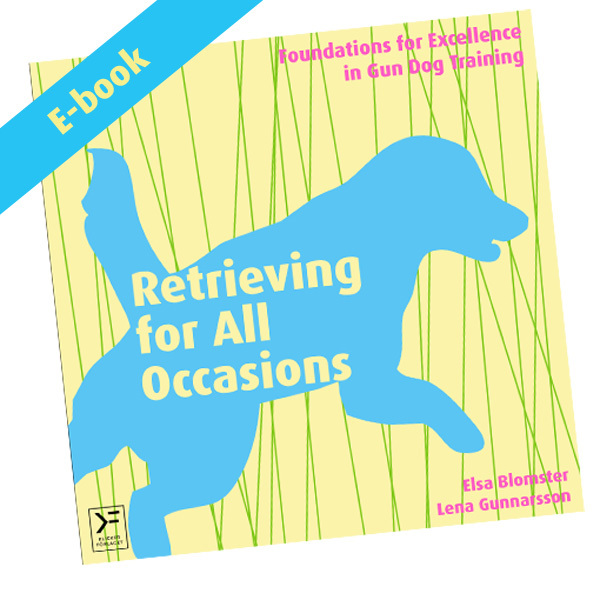 Retrieving for All Occasions is an accessible and inspiring book about how you can use the clicker training philosophy in your gun dog training. The book describes an approach to gun dog training that will challenge you to try something new – if you have the desire and will to do so. 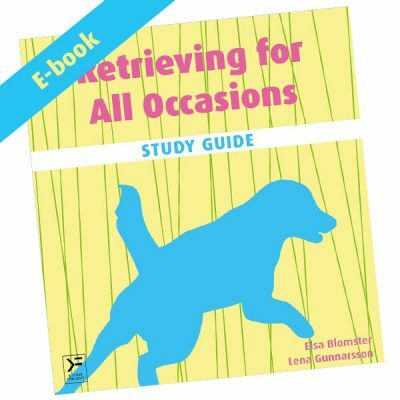 This book includes over 100 exercises to train a talented spaniel or retriever. The exercises are for introductory field trial classes for spaniels and retrievers, but this book is also useful for those who have pointers or setters and want to train them for gun dog work. Elsa Blomster and Lena Gunnarsson are dog training instructors in Gothenburg, Sweden, and base all their training on the clicker training philosophy. They train and compete with their spaniels and retrievers in obedience, agility, rally obedience, tracking, and field trials. Common Sense Guilt Free training. Everything I knew and thought should be in a book with a few extra tips to boot.